just up the pike: will leggett cut corners to get BRT moving? will leggett cut corners to get BRT moving? Despite a big funding setback last week, Montgomery County could start building bus rapid transit after all. But to do so, it may have to do it on the cheap. That could mean making BRT less useful for transit riders. BRT in Alexandria. Montgomery County might get this sooner rather than later. Photo by Dan Malouff. 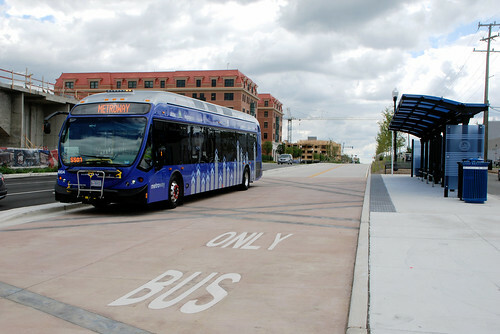 Montgomery County officials have been looking at building rapid transit routes for buses since 2008, and approved plans for a countywide BRT network in 2013. County Executive Ike Leggett had proposed creating a transit authority that could raise taxes to pay for building it, but yanked the idea last week due to opposition from some community members. Yesterday, he announced that the county would build one or two of its planned BRT routes in a "less costly" fashion. One way to cut costs is by taking out dedicated lanes that give buses a way out of traffic. But doing that would make BRT slower and less reliable, discouraging people from using it. According to Leggett, the county can afford to pay for one or two BRT corridors from its construction budget, which the County Council approves each spring. There are three corridors transportation officials are looking at, down from ten in the original plan: Route 355 between Bethesda and Rockville, which would cost an estimated $422 million to build; Veirs Mill Road between Rockville and Wheaton, which would cost $285 million, and Route 29 between Silver Spring and Burtonsville, which would cost $200 million. 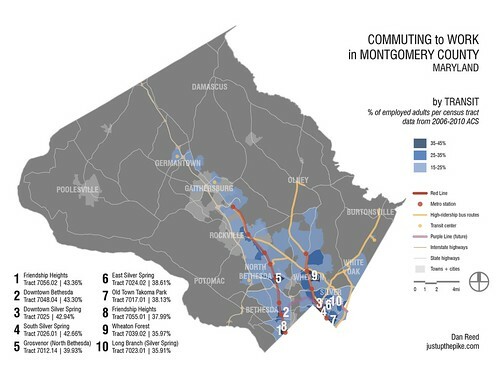 Where people use transit in Montgomery County. These areas coincide with the three potential BRT corridors being considered. Map by the author using Census data. 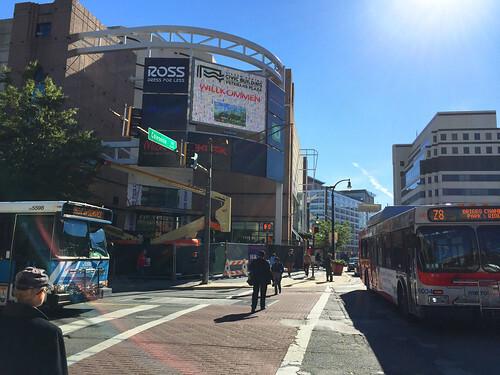 The three corridors serve the county's two biggest downtowns, Silver Spring and Bethesda, plus the county seat in Rockville and emerging town centers like Wheaton, White Oak and White Flint. These are places where lots of people already ride transit. They're also congested streets that are ideal for bus lanes, the key feature of bus rapid transit, which can give riders a fast, reliable alternative to sitting in traffic. But there's limited space to make bus lanes, whether by converting existing lanes or by widening the road. 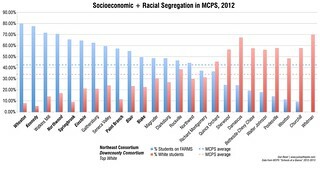 And some neighbors in these areas are loudly against them. This street might be congested. And that's why it needs bus lanes. Photo by the author. Not only do dedicated bus lanes make the bus faster, but they reduce labor costs, since bus drivers can do more trips in less time. Like train tracks, bus lanes create the sense of permanence that can attract development to underserved areas like White Oak. Better transit also means lower commute times, which has a huge impact on access to jobs and economic mobility. Leggett might find that not including bus lanes on all or some of these routes could save money and avoid confronting transit opponents. But there are ways to design them that require less space and reduce impacts on neighborhoods. And as long as buses are stuck in the same traffic as everyone else, people will be less interested in riding them, and county residents will have a hard time seeing the benefits of investing in more transit. Last week, I suggested that Montgomery County show people how BRT works by doing a temporary trial. It looks like county officials want to go a step further and try building something more permanent, which is great. That's why it's even more important they do it right. 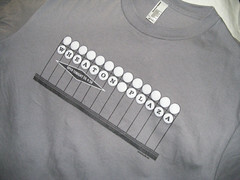 Ike's going to save money on BRT by eliminating the dedicated lane component? Then what's the point of having BRT at all? There's no rapid if the buses are stuck in traffic with everyone else. There must be other ways of lowering the costs. Start out with the easiest route perhaps (hopefully that's Viers Mill).